4 Sided Brick Ranch Home with 3 Bedrooms and 2.5 Baths. Huge Family Room with Vaulted Ceiling and Fireplace. Separate Formal Living Room with French Doors. Separate Dining Room. Sparkling Kitchen with Breakfast Area and a View to the Family Room. Huge Master Bedroom with Bay Windows, Trey Ceiling, Ceiling Fan, and Sitting Area. Master Bathroom with Elegant Double Vanity, Separate Shower and Whirlpool Tub. 2 Car Garage with Automatic Garage Door. Beautiful Patio in a Lovely Private Fenced Backyard. Directions:I85 Exit 108 Sugarloaf Pkwy (Go West). LT on Meadow Church, pass Sugarloaf CC on RT, Turn RT into Sugarloaf Park, Shenley Park Lant, RT on Shenley Park Court. SchoolsClick map icons below to view information for schools near 2427 Shenley Park Ct Duluth, GA 30097. Home for sale at 2427 Shenley Park Ct Duluth, GA 30097. Description: The property at 2427 Shenley Park Ct Duluth, GA 30097 with the MLS Number 6502970 is currently listed at $345,000 and has been on the Duluth market for 74 days. 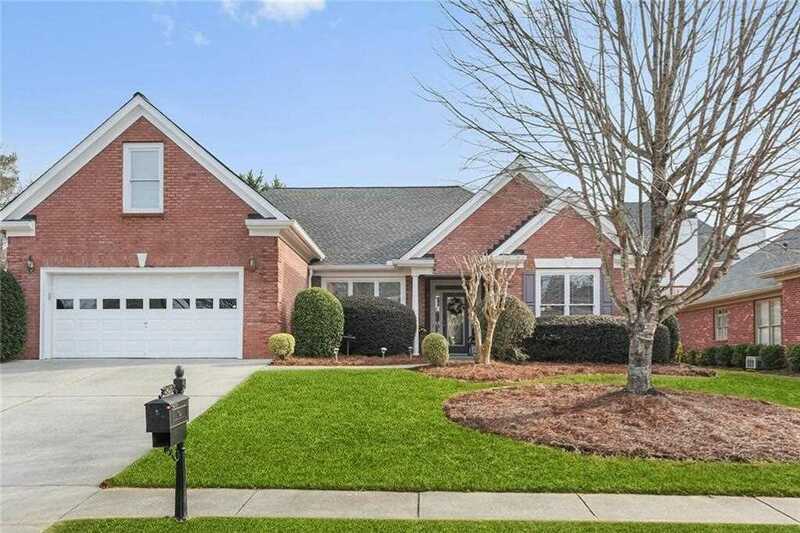 You are viewing the FMLS property details of the home for sale at 2427 Shenley Park Ct Duluth, GA 30097, which is located in the Sugarloaf Park subdivision, includes 3 bedrooms, 3 bathrooms, and has approximately 2516 sq.ft. of living area.